Resolutions are often based on the assumption that there’s something about us that needs fixing or is not good enough. We focus on our weaknesses and our flaws, such as poor commitment, procrastination and fear. These flaws are then associated with bad habits such as, drinking too much alcohol, making poor eating choices, and not exercising regularly. Yes, our behaviour can sometimes be harmful, thoughtless and self-limiting. And yes, it is important that we commit to improving negative behaviour. However, a resolution must come from the premise that we are not broken individuals. We don’t need fixing; we are good enough. Therefore, this year I recommend you start the year from the premise of self-compassion – making resolutions that centre on your strengths, values and belief in yourself. Start and end the day with gratitude. Instead of beating yourself up about going to bed late, turn your thoughts to your morning cup of tea, the roof over your head and your warm shower. Practicing gratitude will take your attention away from what is wrong, what is not working, what your problems are. In essence, gratitude is key for diverting your mind from negative thinking. Respond to other negative thoughts with kindness. “‘OK, there were some challenging times over Christmas, but you handled a difficult situation well which resulted in 3 peaceful days”. Dwell on the things that make you happy, recognise what your friends and family love about you. Being generous, expecting nothing back, will make you feel good. Listen rather than talk, smile, give your time to people you care about, cook for a friend, get to know your neighbours. Like gratitude, acts of generosity divert the mind from what is not kind in the world to what is generous and giving. With January comes a whole host of pressures to start changing one’s life. If you are taking on new resolutions around health and fitness, it’s not always easy to start a new routine. And sometimes, part of this process is failing. So, remember to be patient with yourself and really forgiving as you get started. Even the American Psychological Association advises that “perfection is unattainable,” so don’t let setbacks cause you to give up. 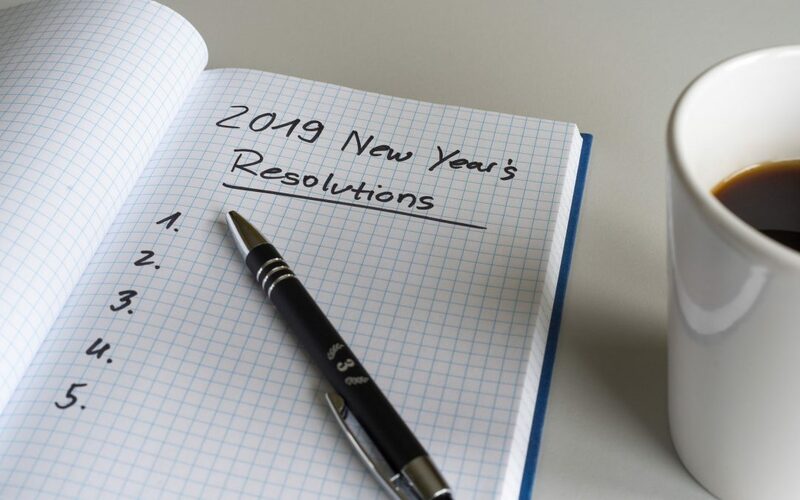 Resolutions are not just for individuals but for organisations too.